The text is accompanied by another document presenting various “alternatives”. Some can be accepted by the States within the framework of the United Nations; others, like that the one of End Ecocide one Earth, within more specific and independent frameworks into the UN system, such as the International Criminal Court, but which all form part of the international system of prevention and management of the crises. These alternatives thus take part in a creative Utopia which proposes means in conformity with the settings ahead with democratic, fair, ecological and peaceful means. USPA NEWS – Corinne Lepage is a French lawyer ecologist, founder of the group CAP21, and former minister of ecology. By an engagement letter dated June 4, 2015, she was asked by the President of the Republic to make recommendations at COP 21 for a new stage in the field of human rights. Corinne Lepage is a French lawyer ecologist, founder of the group CAP21, and former minister of ecology. She By an engagement letter dated June 4, 2015, Corinne Lepage (Founder of Ecologist CAP21) was asked by the President of the Republic to make recommendations at COP 21 for a new stage in the field of human rights, „laying the rights humanity, that is to say, the right of all people on Earth to live in a world whose future is not compromised by the irresponsibility of the present „(Francois Hollande, environmental Conference in October 2014). 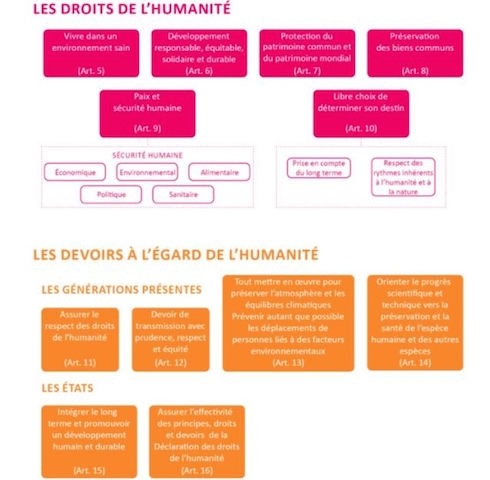 A working group, composed of international law experts and environmental law, climate, a representative of the association of former environment ministers, and representatives of NGOs, proposed to the President of the Republic a draft universal declaration of the rights of humanity. This statement, which includes four principles, six and six rights obligations, follows the descent of the Universal Declaration of Human Rights proclaimed in Paris in 1948, and a continuation of several previous agreements and statements regarding the development, the environment and future generations. THE REPORT IS IN PREAMBLE OF COP21 AND UN-70 TH ASSEMBLY GENERAL The report submitted to the President of the Republic contains the inventory of existing texts relating to the declaration, the Global and explanatory section by section of the statement, then the possible procedures for the adoption of this text, and the state of many citizen initiatives already underway as part of the preparations for the COP 21. Following the publication of this report, a broad consultation will be conducted and a side event on the subject will be held during the COP21. The team working with Corinne Lepage : Ahmed ALAMI, Marie-Odile BERTELLA-GEOFFROY , Valérie CABANES, Francois DAMERVAL, Hubert DELZANGLES, Emilie GAILLARD, Christian HUGLO, Nicolas IMBERT, Adam KONIUSZEWSKI, Jean-Marc LAVIEILLE, Catherine LE BRIS, Bettina LAVILLE and Mathieu WEMERE. “The President chooses diplomatic channels he wishes to take the wear. This text will not enter into negotiations to Cop 21, which are already quite complicated. 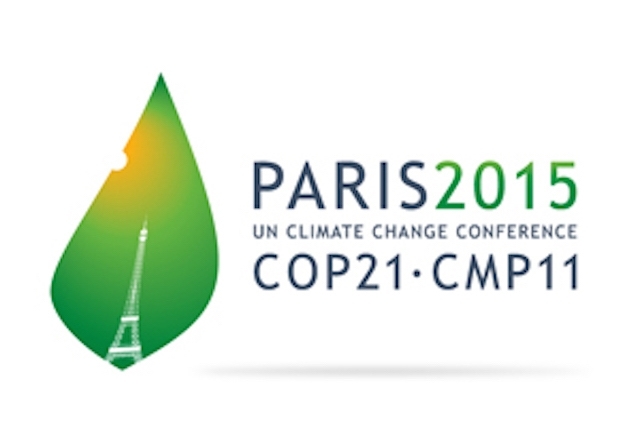 But the Cop 21 is a great opportunity, with the presence in France of policymakers worldwide. This process is intended to result in adoption of the text by the current UN General Assembly, 2016. As this is a statement, not a binding text, it will be easier to pass. On a very long term, however, the Universal Declaration of Human Rights could enable humanity to enact binding texts for States.” Said Corinne Lepage to Metronews journal.